QUICK & VERY EASY - Light weight and great for Spring and Fall. 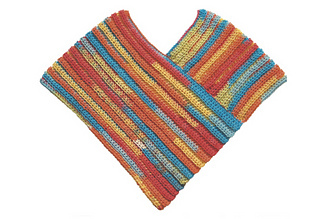 Poncho, in three flexible sizes, stretches over the shoulders for a comfortable fit. Made in two pieces. Stitch, sizing and assembly charts included.